Often it’s just fiscally responsible…waste not. Environmentally sound too. But we’ve found there’s more to it than that. It’s preservation with a twist. 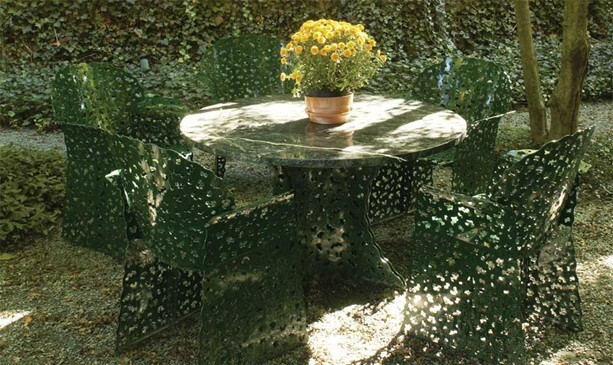 An opportunity to be out of the box and make your own well-appointed outdoor living space. 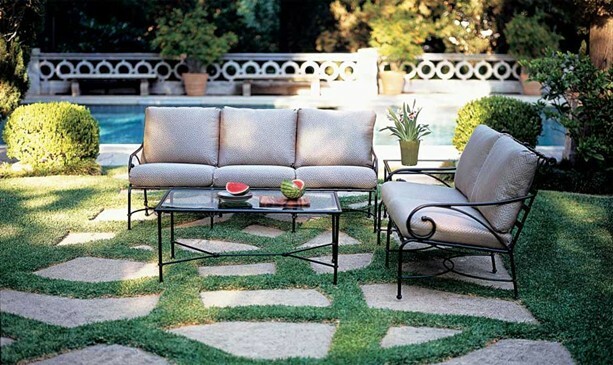 Chatham Refinishing specializes in the restoration of outdoor furniture. 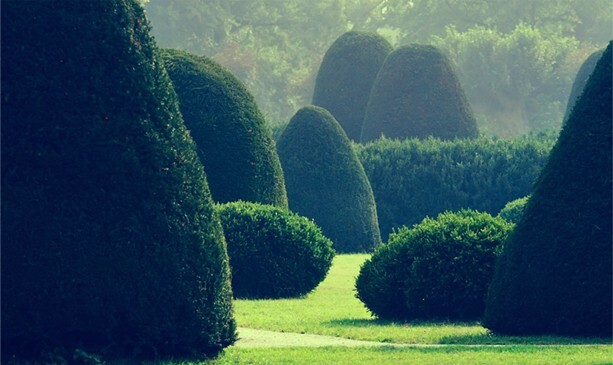 We focus on making your outdoor living area improved and yours. 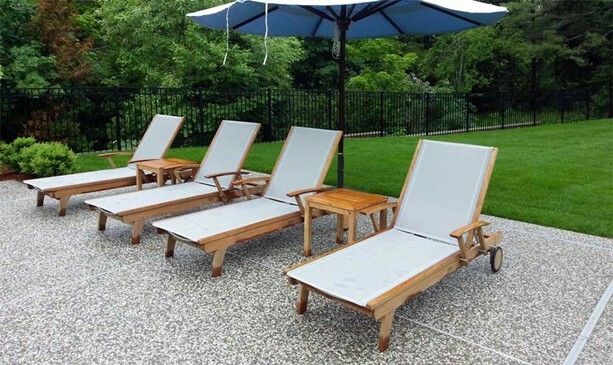 Whether refinishing teak furniture, repainting wicker, or powder coating and replacing fabric slings we provide a factory new product with your touch. We offer commercial and residential clients an opportunity to create and combine new finishes, textures and colors for their existing furniture. Refinished furniture returns refreshingly new and you can have the peace of mind knowing the choice to restore is environmentally sound and saves money. Our team enjoys helping our clients find the perfect solutions for their deck, sunroom, pool or dining area. We’ve found success in harnessing the power of creativity for our clients. 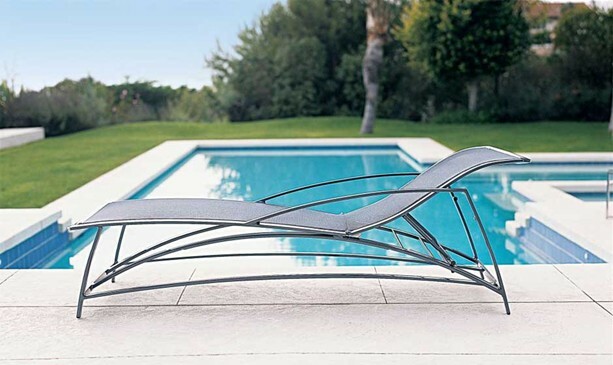 From our renowned wrought iron restoration and cast aluminum refinishing, to stylized outdoor replacement cushions or vinyl lacing, we are happy to take the time to do it correctly with your particular project in mind. Samples of materials and finishes are brought directly to your home simplifying the choices while allowing you to see firsthand what works best. 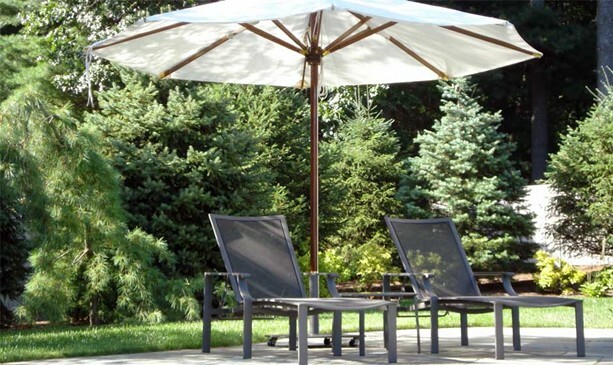 Our showroom offers many of the best manufacturers in the outdoor furniture industry in addition to our own innovative custom furniture, quality umbrellas, and hundreds of restored classic pieces. After decades of repairing and selling outdoor furniture we are aware of the nuances that foster comfort in the exterior environment. Chatham Refinishing’s showroom offers our own warranty on new furniture in addition to the manufacturers. We are selective about what we sell, and work closely with our manufacturing partners. We specialize in providing clients with the most up to date products and bring unique industry knowledge to difficult site challenges such as wind, traffic, rooftops and salt environments. Chatham Refinishing creates custom aluminum and teak furniture as well as customizing finishes of new orders to match existing furniture. Our furniture showroom is open to the public as well as the trade. 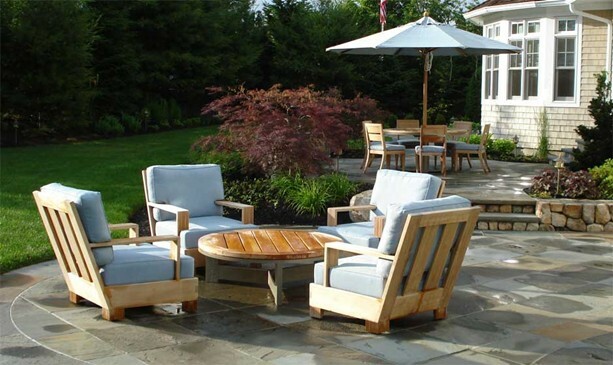 In today's homes, the backyard has truly become an extension of your living space and Chatham Refinishing has been at the forefront of helping clients create unique outdoor living spaces for over 20 years. Chatham Outdoors is your complete source for custom designed outdoor kitchens, outdoor fireplaces, fire pits, and pergola's. We also can create that perfect extended space with paver patios and protect you from the elements with a custom built pool cabana or screened room enclosure.